Only days after we published this June 17th story on ANP titled "Stunning Maps Show Half Of America Could Be Hit By Pandemic Within 70 Days Of An 'Outbreak' As MSM Talks 'Disease X' - Could 'Man Made Recipe For Disaster' Bring A 'Tidal Wave Of Death'? ", the Drudge Report linked to this June 19th story over at The Guardian which confirmed our warning. 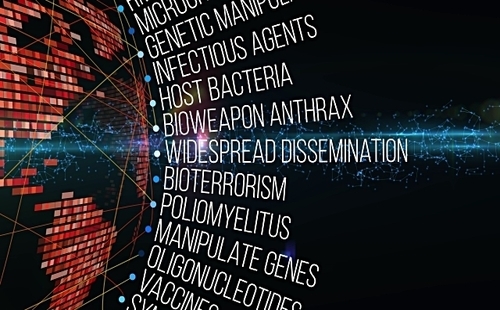 Titled "Synthetic Biology Raises Risk Of New Bioweapons", within their story they warned of a new generation of bioweapons made possible by rapid advances in science which allow scientists the ability to create their own viruses, leaving all of us more vulnerable to a potential man-made biological attack. Synthetic biology expands the possibilities for creating new weapons — including making existing bacteria and viruses more harmful — while decreasing the time required to engineer such organisms, concludes a new report by the National Academies of Sciences, Engineering, and Medicine. Although some malicious applications of synthetic biology may not seem plausible right now, they could become achievable with future advances. Synthetic biology, a field that creates technologies for engineering or creating organisms, is being used for a variety of purposes that benefit society. Applications include treating diseases, improving agricultural yields, and remediating pollution. Even though synthetic biology holds great promise in many areas, it is possible to imagine harmful uses that could threaten U.S. citizens and military personnel. To better prepare for potential misuse, the National Academies were asked by the U.S. Department of Defense (DOD) to develop a framework for evaluating security concerns related to advances in synthetic biology. The task included assessing the levels of concern warranted for such advances, and recommending potential options to anticipate and respond to such threats. As Shepherds Heart recently reported in a story that Steve Quayle linked to on his website on Thursday, human beings are the guinea pigs with the New SynBio Insect Nanoparticle Vaccine and with the synthetic biology field now growing by leaps and bounds, NPR reported on June 19th that "one of the biggest concerns is the ability to recreate known viruses from scratch in the lab. That means a lab could make a deadly virus that is normally kept under lock and key, such as smallpox". In the brave new world of synthetic biology, scientists can now brew up viruses from scratch using the tools of DNA technology. The latest such feat, published last month, involves horsepox, a cousin of the feared virus that causes smallpox in people. Critics charge that making horsepox in the lab has endangered the public by basically revealing the recipe for how any lab could manufacture smallpox to use as a bioweapon. The scientist who did the work, David Evans of the University of Alberta in Canada, has said his team had to synthesize horsepox because they wanted to study the virus and there was no other way to get it. There was another possibility, NPR has learned. Evans could have done research on a specimen of horsepox collected from the wild, but he didn't pursue that alternative. He says using the natural virus might have prevented the pharmaceutical company he is working with from commercializing horsepox as a new vaccine for smallpox. But the head of the company told NPR that he had not been aware that this stored sample of horsepox was potentially available — and would not have wanted to synthesize the virus from scratch if he had known. 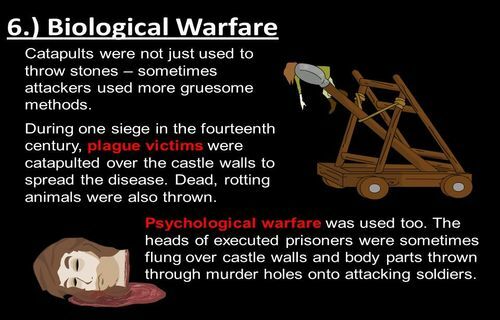 With bioweapons used in times of antiquity via enemies polluting water wells with dead animals or warriors using catapults to cast dead bodies riddled with plague or other deadly diseases over castle walls, as we see detailed below, scientists may not be the only people able to get their hands on these new tools of DNA technology with CRISPR gene editing technology now available as close as Amazon. As the Amazon description for their product states, "this kit includes everything you need to make precision genome edits in bacteria at home including Cas9, tracrRNA, crRNA and Template DNA template." So what could possibly go wrong with human beings, some with possibly evil intentions, having the tools to 'play God'? The excerpt below from this December of 2017 story from the Singularity Hub warns of the opening of Pandora's Box. We’re standing on the threshold of extraordinary capability in synthetic biology. CRISPR-Cas9, the genome editing technique discovered in 2014, is at the forefront of this newfound potential for innovation. These advancements provide an opportunity to solve problems in food supply, disease, genetics, and—the most tantalizing and forbidden of prospects—modifying the human genome. Doing so would make us better, faster, stronger, more resilient, and more intelligent: it’s a chance to engineer ourselves at a faster rate than natural selection could ever dream. However, many experts warn of the dangers of these new capabilities. A vast torrent of money is flowing towards biotech startups, and the race to be first can encourage cutting corners. Researchers in 2017 resurrected an extinct strain of the horsepox virus. CRISPR may make it possible to create the bioweapons carefully safeguarded by the US and Russian governments, such as smallpox, or to take an existing disease, like Ebola, and modify it into an epidemiologist’s worst nightmare. With these mind-bending breakthroughs that seem like science fiction, it can be a near-impossible task to discern hype from reality. Yet this is a crucial task for our politicians—who are overwhelmingly not scientists—to undertake. How can we realistically assess the potential risks and rewards? With this technology also being used by the luciferian elite in an attempt to make 'post-human beings' immortal as reported in this May story over at Skywatch TV, they also reported this 'brave new world' we've arrived into may one day feature robot chemists running synthesizer farms that could churn out modified lifeforms 24 hours a day. 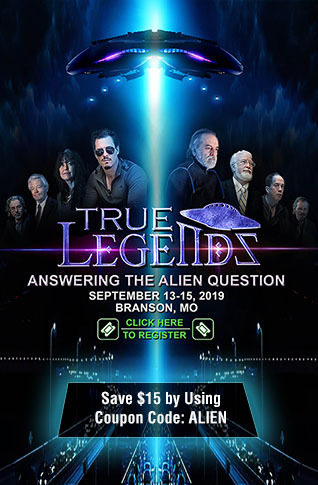 Likely 'lifeforms' resistant to any kind of lethal and manufactured bioweapons they'd created to cull us 'mere humans' with 'transhumanism' and 'eternal life' clearly the end game of the distorted heart of the new world order. As Phys.org reported back in July of 2017, the fact that scientists have already brought back to life a once extinct virus has raised huge biosecurity questions. Just imagine what could happen should deadly diseases that once wiped out huge portions of our population be released into society by those with evil intent. In Washington D.C., New York, Chicago, Los Angeles and San Francisco, small containers that had been covertly smuggled into the U.S. are opened and dropped on the ground in the middle of large groups of people. 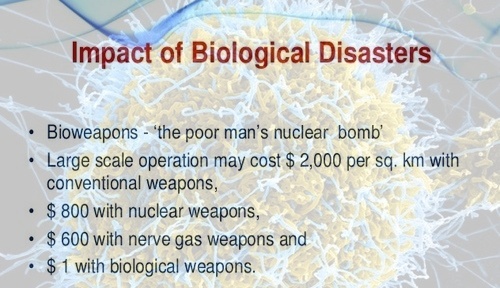 As Global Biodefense reported several years ago, the potential of non-state actors and terrorist groups using biological weapons against a huge group of people is very real though so far, such attacks have been very few and far between. However, with the ease and relative cheapness of acquiring synthetic biology and CRISPR technology, the threat will continue to grow. 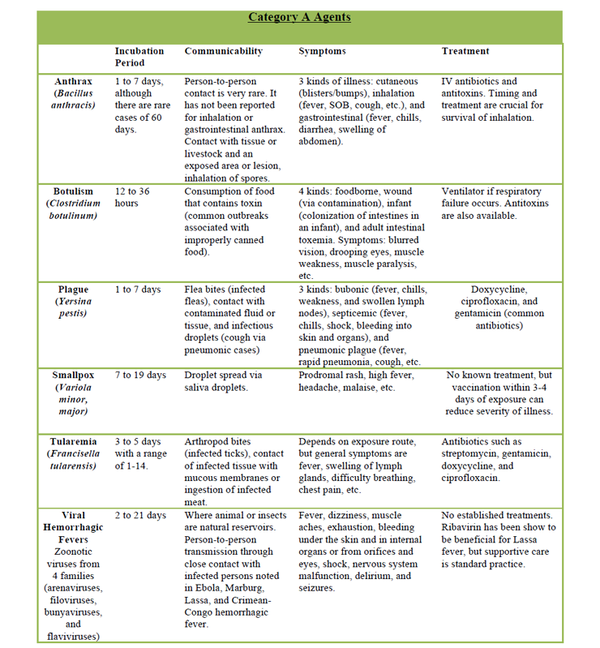 From their study excerpted below we get both a background on bioterrorism as well as a breakdown of the different kinds of biological agents and how easy they can be disseminated as also seen in the chart above. BACKGROUND: Bioterrorism has several definitions, but the most prevailing understanding is, “the use by non-state actors of microorganisms (pathogens) or the products of living organisms (toxins) to inflict harm on a wider population” (Ackerman, 2006). Bioterrorism employs bioweapons (BW) as a means of inflicting harm, morbidity and mortality, economic loss, psychological distress, and general turmoil upon a group of people. Category A agents can be easily disseminated or transmitted from person to person, result in high mortality rates and have the potential for major public health impact. They might cause public panic and social disruption, and they require special action for public health preparedness. Examples: Anthrax, botulism, plague, smallpox, tularemia, and viral hemorrhagic fevers (VHF). Category B agents are moderately easy to disseminate, result in moderate morbidity rates and low mortality rates, and require specific enhancements of CDC’s diagnostic capacity and enhanced disease surveillance. Examples: Q fever, glanders, typhus, and ricin toxin. Category C agents include emerging pathogens that could be engineered or disseminated in the future due to their availability, ease of production and dissemination, and potential for high morbidity and mortality rates and major health impacts. Examples: emerging infectious diseases like Nipah virus and hantavirus. As we hear in the videos below, with CRISPR gene editing technologies as close as your computer and an overnight Amazon delivery, the fact that the DOD is very concerned about the potential of somebody creating and releasing a deadly pathogen into society is something that we should keep our eyes on in the days ahead.